The Kerry Bag Pattern is a fabulous sewing project and great to make yourself a new hand bag to match one of your favourite outfits! The Rosie Bag Pattern is perfect for those who love all things patchwork or would like to try patchwork for the first time! 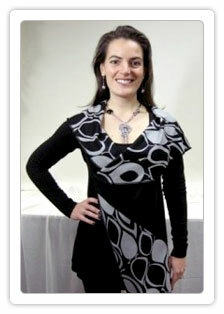 The Wrap Vest Pattern is quick and easy sewing project. Perfect for beginners or a project to sew up in a matter of no time!